Today the children had a lot of fun in Class 4. After our daily morning exercise with Class 7 the children had nature discovery. 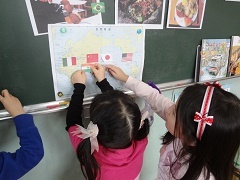 Everyone was very excited to learn about different countries and their foods. The Class 4 children still enjoy the “Golden Goose” and wanted to do it again today. It was nice to see many of the children changing roles and having fun pretending to be different characters. 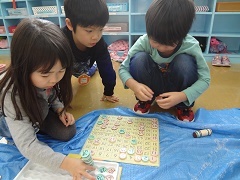 After lunch a lot of the children wanted to play with number cards and line them up correctly. 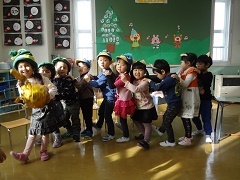 Although the second term is almost coming to a close the Class 4 children are still happy and are looking forward to a fun winter vacation.